Northwest Valley Connect officials are looking for more volunteers to join the organization to help handle the work load. Higher volume rider demands require more volunteers to ensure an aging population can access transportation services that accommodate their mobility in and around the West Valley area. In preparation, Northwest Valley Connect officials are reaching out to engage volunteers who have a desire to continue building an organization that serves and addresses their community needs for an aging population. Agency officials are gearing up for tomorrow’s transportation demands and asking Northwest Valley residents to participate. 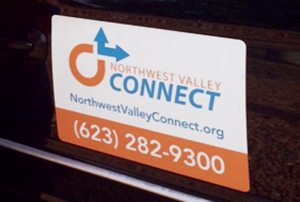 Northwest Valley Connect is a nonprofit transportation organization and provides referral or a free ride service to West Valley residents who are 65 or older, those with disabilities and veterans. Since inception in 2014 when NVC Mobility service responded to 288 ride requests, has grown to 12,000 ride requests in 2018 with 11,000 rides provided by the Mobility Volunteer Driver Program. Visit www.northwestvalleyconnect.org and call 623-282-9304. 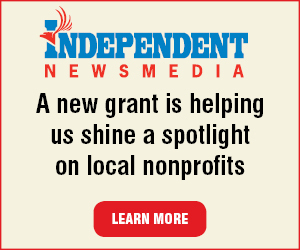 NVC officials are looking as far out as September and October with renovation plans to change the focus as a volunteer transportation business and how staff and volunteers provide services, according to Ms. Chandler. NVC now serves 10 West Valley communities where transportation services are lacking or disrupted and the aging population, particularly seniors, is growing. Compared 2000, by 2050 the number of people age 65 and older is projected to more than double, the number of people age 75 and older is projected to triple and the number of people age 85 and older is projected to quintuple, according to Ms. Chandler. “More of the aging population will be seniors,” she stated. Attention is drawn to senior mobility and independence, which are contributing factors to the rise in public awareness regarding accessibility and characteristics of transportation services, Ms. Chandler explained. NVC Mobility Center provides four major services that are handled by mobility center volunteer representatives who transition callers to a Ride-Connect service either as a referral or NVC volunteer free ride. Mobility Center Driver Service is provided free by volunteers to individuals who otherwise would not have transport to health services, shopping or social events. These volunteers use personal vehicles or NVC accessible vans for picking up individuals at their home while offering a door-to-door service and transport to a destination.